At Regal Kitchens, we pride ourselves on being able to work with most customer budgets, once your plan/design has been agreed our designers are able to give you 14 different furniture costings helping you choose a price range that suits your budget. Where are your cabinets and doors manufactured? As an independent retailer, Regal are able to offer many different ranges from any supplier in world. We have worked closely with a lot of our suppliers for the last 10 years who have a similar company ethos to our own.  Yes, at Regal Kitchens we offer a full installation service to ensure the fitting of your kitchen goes as smoothly as possible. We are a Fira Gold Installer and a Which Trusted trader, our business has been through a rigorous application process so you can be confident you are hiring a reputable trader. Do you offer a home measurement service? Yes, one of our specialist designers will visit your home to measure your room and identify utilities and services. It is a non-invasive survey meaning they will not move any floor coverings or fixtures during their visit. The home measure and design appointment will typically take between 60 – 120 minutes. Your measurements will then be loaded into a CAD drawing system and you will be encouraged to work closely with our designer to put together a plan and speak about different ranges of doors, appliances and worktops. Yes, we offer a completely free service to design your kitchen. You will have a personal meeting with one of our expert designers, who will produce a computer-generated 3D plan of your room based on your ideas, showing how all the elements fit together and work in your unique space. After this design meeting we can arrange a review meeting to be held in our showroom to help you choose colours, handles and any other variables you might need to consider. Do you offer guarantee on your kitchens? Our suppliers offer varying guarantees depending on what products you choose to include in your kitchen. We accept all major debit cards, you may also pay by cheque or if you prefer bank transfer. Up to 25% deposit is required when your order is placed. The remaining balance will be required 5 working days before delivery of your kitchen. Installation payments are to be made directly to your installer. Yes we offer some flexible finance options through our finance partner OMNI Capital, including Buy Now Pay Later with no interest payable within a year of your kitchen being delivered. Can I change my existing order once I have paid my deposit? All furniture, worktops and appliances are ordered very quickly after your deposit has been paid and all variables have been decided. Should you wish to make any changes you must inform your designer immediately who will be able to advise whether those changes can be made before your installation is due to start. What happens if my order arrives incomplete or damaged? In order to ensure your order is correct, we carry out two item checks before dispatch. Due to stringent quality control procedures, it is rare to encounter damaged products. In the unlikely event that you have a damaged item please call us on 01268 525922 to speak to our Customer Service Manager. Please note that we are unable to accept any returned items at our showrooms. If you notice any damaged packaging on your delivery, please ensure that you highlight this with the driver and make a note on the delivery note. Please also let us know immediately. We cannot replace items that have been cut, drilled, or customized by you.